Don’t let the apparent perfection fool you. 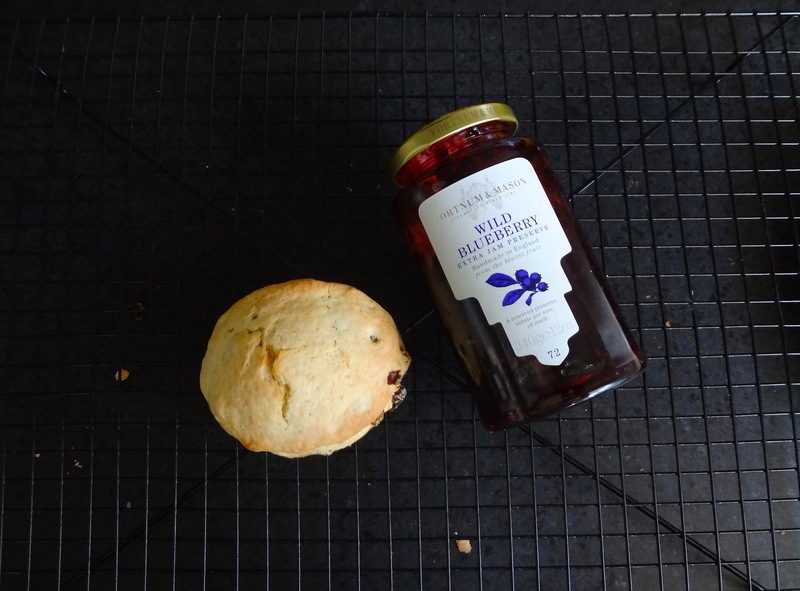 The scone and jam in the picture are actually home-made, in my kitchen (despite the Fortnum & Mason’s logo saying otherwise)! Over the weekend, just before my stint at the AAG Conference, I had friends over and we spent one Saturday afternoon making jam and scones. Turns out it’s a remarkably easy thing to do. While doing it, we pottered around the apartment, chatted, and I got to thinking about the word “home-made” and its root, “home-making.” Funny how they sort of imply different sides of the same coin. “Home-made” means something was created in one’s private domicile and implies comfort and effort being lovingly expended in the process, as opposed to the harsh, machine-dependent mass-production that “factory-made” suggests. The object is something once considered the domain of the home and home-maker – like bread and jam – brought outside of the home post industrial revolution, and brought back again to its point of origin. “Home-making” on the other hand, means doing up the home – the object is the home itself. It means creating a new home, cleaning up the home, making the home gezellig. It implies domesticity, comfort, but it also – these days at least, where productivity and profit are the reasons for doing anything – has a negative connotation of being unemployed. Because if you really are talented and driven enough, you should, or would be slaving away at a job instead of taking care of the home right? Well, I’ve been a home-maker for almost a year now (in between studying for a Master’s across the Atlantic) and I must say that I find it actually rather rewarding. I have time to explore my neighborhood and take beautiful photos of the wealth of surprising details that proliferate around me; I get to experience what it means to live simply and away from the material- rather than aspiration- driven way of life that has taken over most of the civilised world; I get to read books and visit exhibitions at museums in the middle of the day when there is no one there. Best of all, I get to make home-made jam from fresh blueberries and loganberries, and scones from nothing more than egg, flour, milk and lots of delicate sifting and finger-pinching. Home-making, as far as I can see it, is an art. A fine art. Gallery | This entry was posted in Home, Sociology & Urban Studies and tagged Home-making, Jam and Scones. Bookmark the permalink.